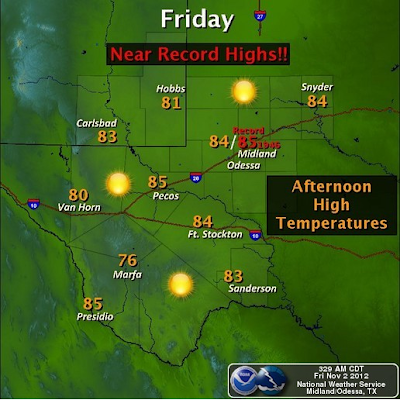 Near Record High Temps Today - Cooler This Weekend. Map Are Courtesy Of The Midland NWS Office. Map Are Courtesy Of The Lubbock NWS Office. Welcome to November, which by the way is typically one of our driest months of the year here in the southeastern plains of New Mexico. November is also the month when we leave the warmer temps of early fall behind. But before we do this, we will see near record highs across the local area today ahead of an approaching weak cold front. 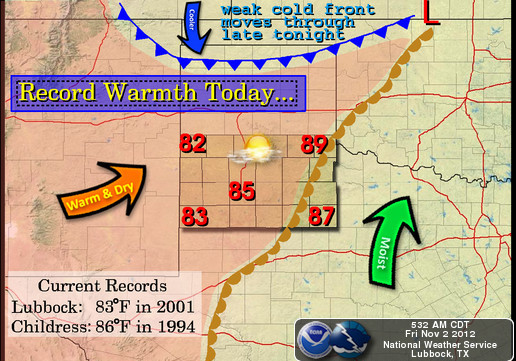 Highs today should be in the low 80's. 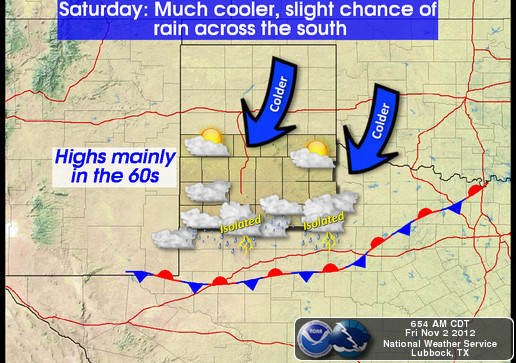 There is a slight chance that a few isolated rain showers and thunderstorms may pop up over the area Saturday as the front approaches from the north. Our overall chances of getting wet are low though, generally around 10%. 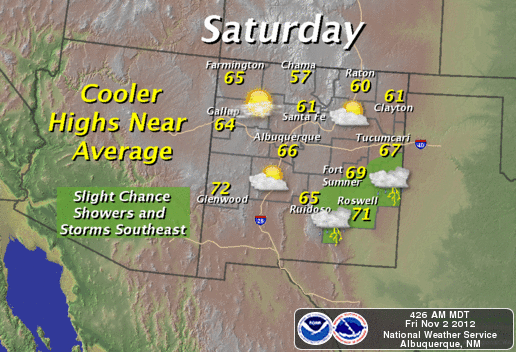 Our highs Saturday and Sunday will cool down into the low-mid 70's. 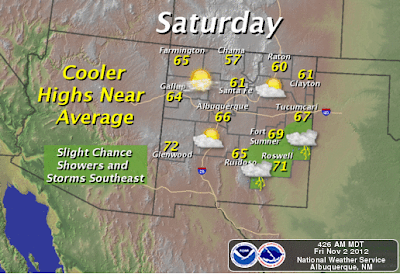 Monday's highs will be in the upper 70's. Long Term Normal High - Low Temps. 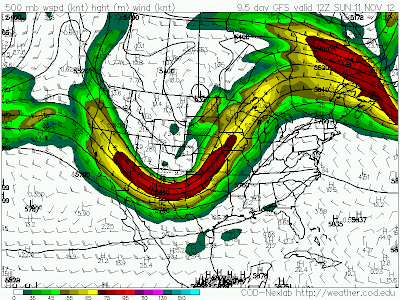 Next Storm In About A Week. 00Z/6 PM MST GFS 500 MB Forecast. 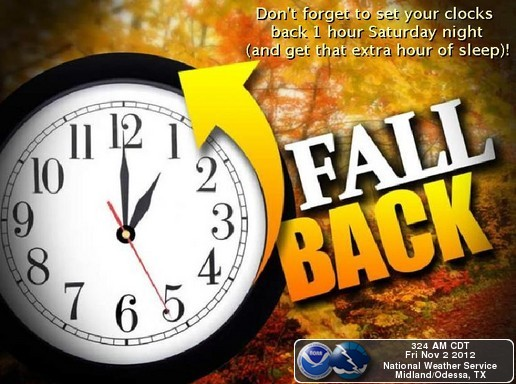 Valid At 5 AM MST Sunday Nov 11, 2012. 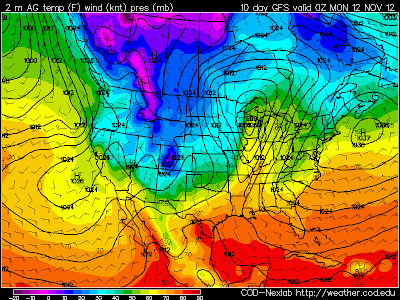 00Z/6 PM MST GFS Temp Forecast. Valid At 5 PM MST Sunday Nov 11, 2012. 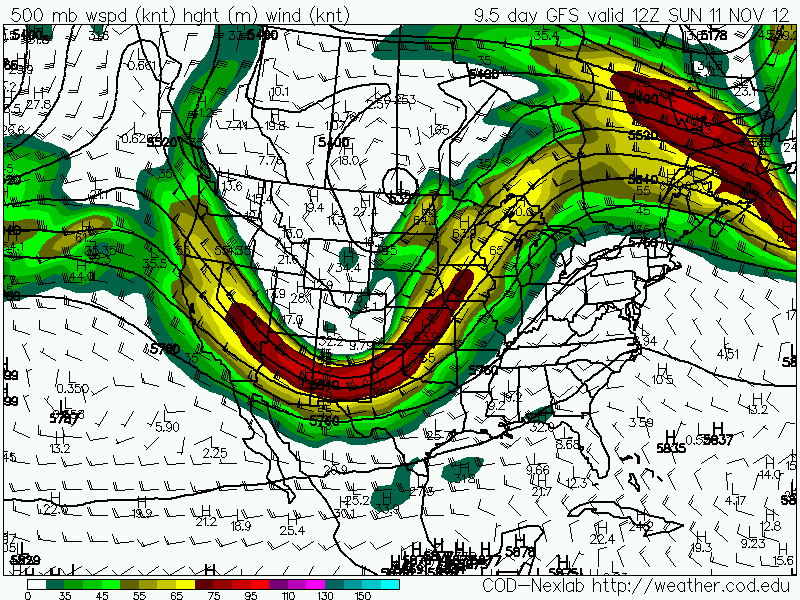 A powerful storm may sweep across the Rockies and into the central plains in about a week. 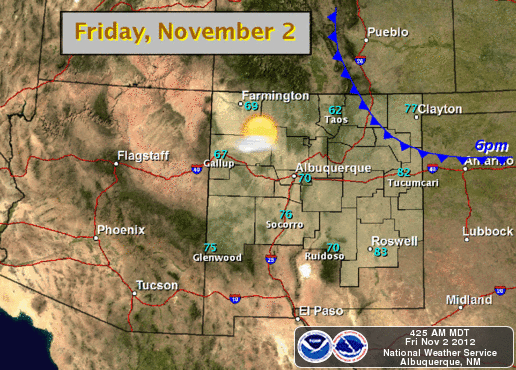 This storm has the potential to produce snow over the higher mountains of New Mexico. If the current forecast track trends continue, then it looks more like a wind bag for the southeastern plains of New Mexico next weekend, with very warm temps ahead of the storm next week.